Three hundred denarii is just too much money to waste. That’s nearly a year’s worth of daily wages, an annual income. Who does that? Why would anyone do that? That’s neither practical nor reasonable. It makes no sense. Why does all of it have to be poured out? Something that valuable should at least be saved for a special time and place. Surely it could be put to better use than feet. Jesus’ feet may smell sweet now but it won’t last. It won’t be long before he leaves the table and steps back into the street, into the dirt and muck of everyday life. Soon his feet will sweat and stink. They will bleed. The fragrance that fills the house today will linger only as a memory, a story in scripture. What difference could Mary’s perfume possibly make anyway? 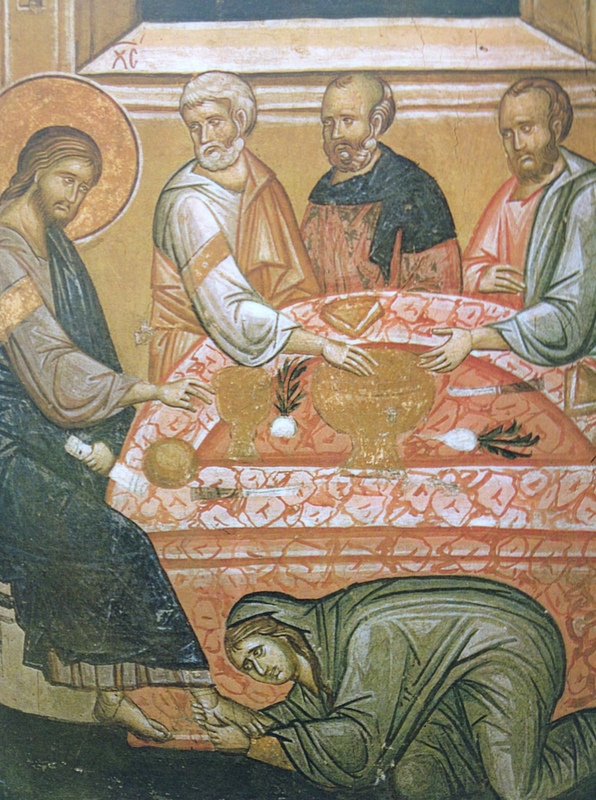 “Why was this perfume not sold for three hundred denarii and the money given to the poor?” Judas has a limit. Mary has exceeded it. So if three hundred denarii is too much what about two-fifty? Two hundred? One hundred? What would be acceptable, reasonable? I don’t know what Judas’ number is. We’ll never know. That’s not the point of today’s gospel. The more relevant question is about us. What is my number? What is your number? What is our limit? At what point do we say it simply costs too much to love? That’s what this story is about. It is not about money or perfume but love. Upon whose feet are we unwilling to pour out the fragrance of our life and love? Those who look, act, or think differently than us? Those who have hurt us? Strangers on the street? Enemies across the world? Those who have made poor choices, choices we know are wrong and would never support? Those who can’t seem to ever get their life together? Those who stand opposite us on a particular issue? If we are really honest about it we all have our limits, our reasons, our fears that keep us from loving and tell us it’s just not practical or reasonable. Not this person. Not right now. Not here. Holy Week takes us to the boundaries of what is practical, what is reasonable, what makes sense, and then asks us to step across. That’s the way of love. That’s the way of Christ. This sermon is for Monday in Holy Week and based on John 12:1-11. Sr. Pat, I’ve done my share of counting and calculating. I suspect there is a banker and Judas in all of us. Oh, that I might learn to love wastefully like Mary. Profound thoughts as always, Mike. Thanks for making me think. Thanks for reading my blog Byron. I hope it is good and insightful thinking. I am mostly describing my own struggles and experience.